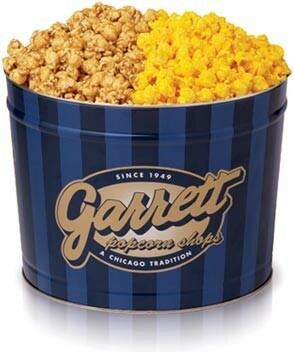 Thursday from 10 AM to noon, Garrett Popcorn Shops celebrates its 60th anniversary and the opening of its new flagship store at 625 N. Michigan by giving out free small bags of its "Chicago Mix" (a mix of caramel and cheese popcorn) at the store. Customers in line will also get free ponchos if it rains (which it's expected to do), and a chance to win prizes including tins of popcorn, T-shirts, and discount cards. Garrett's invites you to "join the line at our new home"—expect it to be a long one.